I have been trying to elaborate a nice way to depict VLANs on network diagrams throughout all my career. Each one of the shapes represents a VLAN. I use the colors together with numbers in order to make shapes easier to read as they appear on the different parts of my diagram. 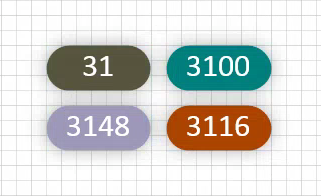 Guess what it means when 31 shape covers the line? Right! – A native VLAN. 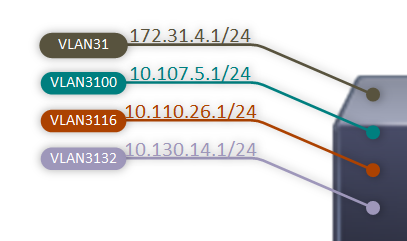 The three other VLANs whose shapes are above and below the line are tagged. 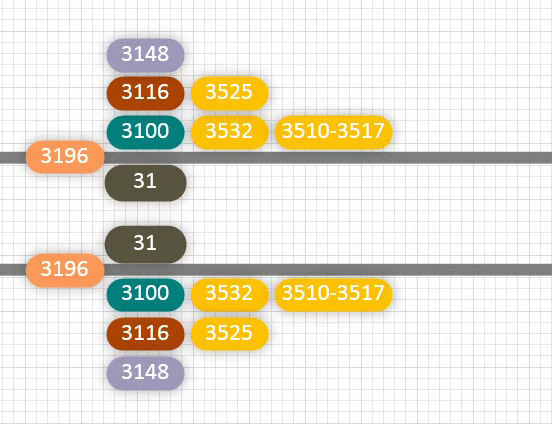 Here I colored some VLANs the same yellow color as they all correspond to wireless segment. Also VLANs 3510-3517 are grouped together because they are all used for the same SSID with VLAN Select.